Solar Activity - it`s a creative team, that was founded in 2011 by two old friends: Aleksei Zhuchkov ( dj Aleksei Zhuk ) and Oleh Zhenchuk ( dj OleGen ) in a cultural capital of Ukraine - (city) Lviv. The guys combined their efforts and directed them to the realization of ideas in the field of trance - music. The project actively cooperates with DJs and musicians, and experiments with sounding. 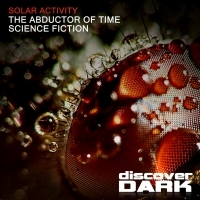 In our dj - sets and author compositions the Solar Activity tries to give to the audience all furious energy, charming beauty and great majesty, which you can hear, see and feel in trance - music.